Mandelblit informs Netanyahu that he will announce the decision whether to indict ahead of April elections. Prime Minister Binyamin Netanyahu said Friday that the Attorney General's decision to indict him before the national elections is "one of the most fateful in the state's history" and "could bring the Left to power." "One can only hope that the Left's pressure will not work a second time, when the Attorney General has to decide if two and a half reports on the internet constitute bribery," he wrote on Facebook. "Simply ridiculous. In any case – I am certain that I am in the right and certain that the truth will out." Attorney General Avichai Mandelblit informed Prime Minister Netanyahu that he will formally announce whether to indict him prior to the upcoming elections in April. Mandeblit has decided to announce preliminary indictments against Netanyahu in the next few weeks for charges of fraud, breach of public trust, and bribery in connection with the Case 1000, Case 2000, and Case 4000 investigations. Mandelblit explained to Netanyahu's attorneys that "the prosecution is examining the investigative materials in a professional and orderly process, in order to make a fundamental and professional decision as soon as possible. This process has already been decided, even before the decision to advance the elections, and there is no justification to deviate from it. " Mandelblit added that the public deserved to know Netanyahu's legal state before heading to the polls and failing to do so would harm the principle of "equality under the law". Investigators say they have enough evidence to try Netanyahu for fraud and breach of trust in Case 1000, which revolves around allegations Netanyahu and his family accepted cash and expensive gifts from a businessman in exchange for favors. In addition, the Prime Minister could face bribery charges in both Case 2000, which involves allegations claims Netanyahu advanced a newspaper’s interests in exchange for favorable coverage, and in Case 4000, which is centered around claims Netanyahu pushed regulatory changes to benefit the Bezeq telecommunications company in exchange for favorable coverage from a news outlet owned by the leading shareholder of Bezeq. Netanyahu has been leading an aggressive publicity campaign aiming to pressure Mandelblit not to issue an expected decision to indict him before Israelis head to the polls. 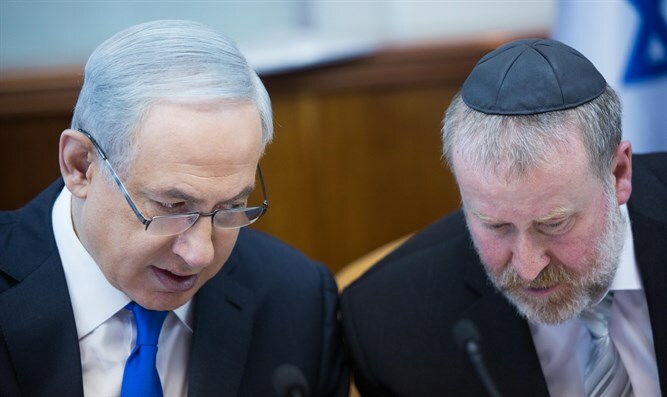 On Thursday, Netanyahu said that the jurist "succumbed to pressure from the left" amid reports that Mandelblit had made his decision to indict before the elections on April 9. The attorney general seems to have succumbed to pressure from the left and the media to file an indictment at any cost," Netanyahu said. "Only this morning our attorney placed a demand for the completion of investigations of more than 60 significant witnesses who were not investigated in any of the cases. Already this evening, the State Prosecutor's Office was quick to leak that there is no intention of examining these vital witnesses."